I've been busy this week as far as my book obsession goes. I took over the What An Animal III Reading Challenge. I've enjoyed this challenge the past two years and it's one of the challenges I actually completed both years. If you're interested in signing up, check out my post. I have two book giveaways going on, for those who are interested - The Man Looked Down by Dorothy Garlock and Worst Case by James Patterson. I only finished one book this week, The Ghost and Mrs. McClure by Alice Kimberly and absolutely loved it. I enjoyed all the books I read, but I think the last three were my favorites. They helped to put me back into a reading mode after being in a month long reading slump. I was asked to review the story by Edmond Cheng, “Illusion”. So, this review is only about that one. The story opens with a couple tossing a dead body into the sea in the middle of the night in Hong Kong. Nobody sees this and the couple is satisfied their mission is accomplished. The reader is hooked into this story right from the start. Things only get more mysterious. A top executive at a leading Hong Kong firm, Thomas Chen, receives the promotion of a lifetime. He has a beautiful wife, Karen, and he’s on top of the world. Then, his best friend’s mother visits him at his office with a dire warning begging him to help Jonathan and his marriage. She warns Thomas, if he doesn’t help, there will be consequences to pay. He doesn’t get a chance to tell Jonathan anything when he learns that his friend’s mother died several weeks before she came to Thomas’ office, but how is that possible? Thomas receives a call from Jonathan and races to his apartment only to find he’s been murdered and Thomas is about to pay the price. Someone has framed him and he’s sure it’s Jonathan’s wife. When his own wife is kidnapped, Thomas doesn’t know where to turn as the police don’t believe a word he says. Strange things happen to Thomas and he’s more confused than ever. Readers will have fun trying to figure this story out as it takes so many twists and turns. Things aren’t always as they seem. This is a story filled with intrigue, mystery, deception and illusions as well as a cast of characters that will both delight and horrify. Mr. Cheng’s writing is very smooth and he puts the reader right into the story. You really feel as if you are in Hong Kong going through everything with Thomas. Just when you think you know what’s going on, you find out you’re very wrong. It’s a quick read and I’m looking forward to reading more stories by this author. You can learn more about this book at Midnight Showcase. If you'd like to play along on Friday Fill-Ins, just click the button above. 1. A cup of tea is very soothing. 2. Love makes a place feel like home. 3. Everything has its beauty if you look for it. 4. Do you like the taste of strawberries? 5. Art makes me smile. 6. LOL I just noticed I forgot to check on the laundry and instead I'm playing on the computer. 7. And as for the weekend, tonight I'm looking forward to resting, tomorrow my plans include going grocery shopping and celebrating my father's 75thbirthday (if I can get out with all this snow) and Sunday, I want to catch up on reading and TV! After the death of her husband, Penelope Thornton-McClure moves to Rhode Island to help her Aunt Sadie manage a mystery bookshop, Buy the Book. What she doesn’t know is that Jack Shields was murdered in that bookstore in 1949 and continues to haunt the bookstore to the present day. His murder remains unsolved. To add to the mystery, she’s the only one who can communicate with the ghost. Pen is very excited to get a bestselling author, Timothy Brennan, for their first book signing at the store. Things quickly take a bad turn when the author announces it will be the last book in his popular series. As the crowd tries to absorb this shock, the author falls over and dies. It’s not long before the police determine that Brennan was murdered and Pen becomes the prime suspect. If she doesn’t want to spend the rest of her life in jail, leaving her young son parentless, she must solve this murder and fast. Fortunately, she has a live-in ghost, who used to be a private investigator in 1949, to assist. I’m a huge fan of cozy mysteries and have had this book in my TBR for years. I don’t know how I could let it just sit there. This book is wonderful. The characters are loveable (some, not so much but they aren’t supposed to be), the story is fast-paced and the setting is so quaint. Alice Kimberly also writes as Cleo Coyle, author of the Coffeehouse Mystery series. I’ve read a couple of the Coffeehouse mysteries, which I’ve enjoyed, but this series has surpassed that one to me. First of all, I love the idea of a mystery bookshop and the addition of a live-in ghost is priceless. The interaction between Pen and Jack is delightful. This was a quick read for me and you know I’ll be reading the rest of the series. Of course I’m also giving it the Socrates’ Great Book Alert medal. The third book in a row that I’m giving it to…I’m on a role! THIS WEEKS LETTER IS: "C"
Lots of women put their careers aside once the kids come along. Kate Connor, for instance, hasn't hunted a demon in ages. Thanks to the wonderful people at Hachette Books, I am able to give away three audio book copies of James Patterson's latest book Worst Case. If you want to have a chance to win a copy of this book, here are the rules. 2. The contest is restricted to residents of the US and Canada. No PO Boxes! 3. The contest deadline is midnight, eastern standard time on Friday, March 19th. 1. Blog about this on your blog and link back to us. Please leave me your direct link for the post in your comments. 2. Become a follower - if you already are a follower, let me know in your comments. 3. Follow me on Twitter - if you already do, let me know in your comments. 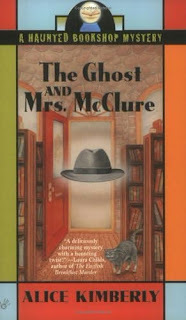 My book this week is The Ghost and Mrs. McClure by Alice Kimberly. It's the first book in her "Haunted Bookshop Mystery" series and I'm loving it. 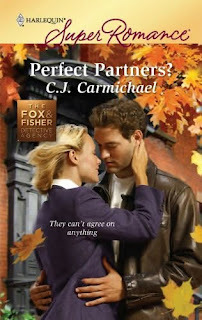 Just an FYI, this author is also Cleo Coyle who writes the coffeehouse mysteries (another series I love). That voice wasn't in the room; it was inside my own head. But how can that be? How? I asked myself. It wasn't my voice. Or my thoughts. I'd never thought such crude things in my entire life! If you'd like to join in on Musing Mondays, just click the button above. Today’s MUSING MONDAYS post is about a keeping books. I used to keep all the books I bought. Then, I only started to keep the ones I love. I still do that to some extent, but mainly I don't keep the books I read anymore. There's just not enough space. I will keep books that are part of a series though. That way I can always look back and refresh my memory when I read the next book in the series. As for the books I don't keep, I either put them up for trade at Book Mooch or Paperback Swap. Or I might give them away at a giveaway on my blog or I will donate them to my local library. If you'd like to join in on Mailbox Monday, just click the button above. I've been doing this challenge for the last two years. Unfortunately, Kristi at Passion for the Page can no longer host this challenge, so I volunteered to take it over. I'm really excited about hosting this one. For the most part, the rules are all the same from the original challenge. 3. Challenge runs from March 1, 2010 to February 28, 2011. That’s a full year to read at least 6 books (you can read more if you’d like). 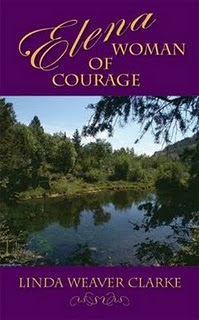 You can still sign up after March 1st as long as you can get 6 books read by February 28, 2011 ;o). If you'd like to sign up, please use Mr. Linky below! Please sign up using Mr. Linky below. Please make sure your url is the direct link to your post about this challenge and not to your main blog! Please use Mr. Linky below to post your reviews, if you have any. Please make sure you list your name and/or blog name and the url should be the direct link to your reviews. This is so nice! I was just awarded another award. I'm so honored. This one is from CMash Loves to Read . I love the blog world...I'm always meeting new friends and fellow bloggers along the way. 1.Thank the link to the person that gave you the award. 4.State 7 Things about yourself! 2. I'm the mom of three beautiful cats. 3. Socrates is actually one of my cats. 4. I'm a TV, book and movie addict. 5. My TBR is too big too count. 7. I love to travel. A few years ago I read the book My Sister's Keeper by Jodi Picoult and thought it was excellent. When the movie was released, I heard mixed reviews about it so I held off watching it. However, today I broke down and watched the movie. I thought it was done very well, although I thought the book was better (and a bit different), but I usually do find books to be better than the movies anyway. I'm glad I saw the movie, though. The weather forecast for next week doesn't sound very good, but maybe that will mean more reading time for me. 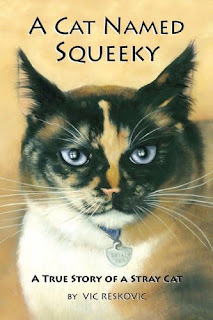 One of my favorite kitties is back…Musetta and her human, music critic Theda Krakow, is in big trouble. When cats start getting sick at her friend Violet’s cat shelter, Theda is convinced that this is no accident. Encouraged by Violet’s claim that her animals were poisoned, Theda begins an investigation which leads to some nasty political views, threats and eventually murder. Things get worse when Theda is the prime suspect and the police have no intentions of looking any further. It’s not long before Theda finds herself losing her job and friends, not to mention that her boyfriend, Bill, isn’t happy with her either. The only one to stand behind her is her beautiful cat Musetta, but Theda’s investigation could mean they are both in danger of being the next victims. This is the fourth book in the Theda Krakow series and these books just keep getting better. Clea’s writing clearly shows she knows her cats and, for a cat lover like me, it’s so much fun to read. The story took a few twists and turns along the way. I kept changing my mind who the culprit was, but it all came to a satisfying conclusion. 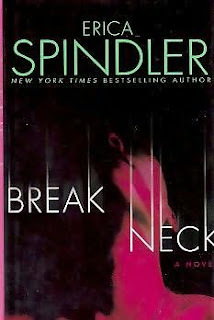 This is a fast-paced book that left me wanting more. It’s my second book in a row that I truly loved and am giving my Socrates’ Book Review Great Book Alert medal to. I'm so honored to have received this award from Reading At The Beach Thank you so very much! 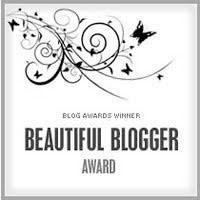 Every Prolific Blogger must visit this post and add his/her name in the Mr. Linky so that we all can get to know the other winners. You may have noticed–the Winter Olympics are going on. Is that affecting your reading time? Have you read any Olympics-themed books? What do you think about the Olympics in general? Here’s your chance to discuss! This is an easy one for me. I'm not really interested in the the Olympics and I don't watch it at all, so nothing has changed for me as far as my reading time goes. The only sport I watch is baseball...now that effects my reading time. I watch every Yankee game and that limits my reading time, but that won't be happening for a month or so. Stop by and enter the contest, which ends March 7th, just in time for St. Patrick's Day (March 17th). Remember the luck of the Irish! Perhaps your luck will double if you find a four leaf clover. Good luck, everyone! THIS WEEKS LETTER IS: "B"
I haven't read it yet and there's one book before this in the series, but it looks so good. Emily Stone is passionate in her quest to catch child kidnappers and killers. She does this without the help of any official law agency. She finds the culprits and emails all pertinent documents to the police. She has ways of finding things they can’t. With the help of her beloved Rick Lopez, an ex-police detective, they try to make the streets safe for the children of the world. When a friend of Rick’s is found dead, Emily and Rick secretly do their own investigation. The police are convinced it’s an accident, but Rick and Emily aren’t so sure. Suddenly, others are found brutally murdered with their only link being their addiction to a video game, Eagle Eye. Each murder is videoed so they can be played over and over again for this twisted killer. Upon further investigation, Rick and Emily discover Rick’s friend had a connection to the company that produced the game. It’s not long before they realize they have a serial killer on their hands. Emily and Rick race against the clock in an effort to stop this crazed killer before he or she takes their next victim. They are taken into the high-tech world of video games and meet with the most evil villains they have yet to come up against. This is edge-of-your-seat reading at its finest. I had a hard time putting this book down. The characters are incredibly well defined and come to life with each and every page. The plot is well crafted and leaves readers wanting more. Last year, I reviewed the first Emily Stone book, Compulsion, and loved every minute of it. I didn’t think it could get better than that book, but it did with this one. I hope there will be more Emily Stone books in the future. I have to give this book a 2010 Socrates’ Great Book Alert medal. I haven’t given any out this year, but it’s the first book that I’ve read in 2010 that I’ve absolutely loved. This is from Dead Game by Jennifer Chase. Derek continued, "It makes no sense that he was so careless and died liked that by accident." Rick moved toward the living room. "That's what we're here for, if there's something here we'll find it." The front door burst wide open with a bang that caused everyone to jump. Today’s MUSING MONDAYS post is about a reference material. Do you keep reference books on your shelves at home? What’s your first port of call when you need information – the internet or a book? If I need to look up any information, I go on the internet. It's been amazing for me with alot of different things. We like to travel and have been able to find out which places to go to and which to stay away from. We do alot of research online before going anywhere. It's been very helpful. Recently, when I learned I had to have open heart surgery, I was also able to learn anything and everything about the subject. It helped me calm down a bit, as much as anyone can before surgery. It, also, put me in touch with others who either were operated on by the same doctor or went through the same exact procedure. The internet can be a wonderful thing. The best thing is, if a topic comes up suddenly, I go right to the computer and look it up. I don't need to keep reference books or anything else around the house. What do you do for reference material? Sunday Salon - Happy Valentine's Day! Slowly but surely I'm starting to get back into reading and blogging. I'm not 100% there yet, but I'm getting there. I'm dividing my reading time between reviews and challenges. Not easy, but I'm trying! Right now I'm reading Dead Game by Jennifer Chase. Last year I read her first book Compulsion and loved it. This is proving to be just as good. Whatever you are all doing, I hope you have a great Valentine's Day! Enjoy! Thanks to those great people at Hachette Books, Socrates' Book Reviews will be hosting another book giveaway. This one is for a book by Dorothy Garlock. It's The Moon Looked Down and this book sounds wonderful. We have (5)five copies to give away, so that means five winners! If you want to have a chance to win a copy of this book, here are the rules. 3. The contest deadline is midnight, eastern standard time on Friday, March 5th.